The Telegraph have printed this step-by-step guide to eating in company in the spirit of Major General Cowan, who last week exhorted his officers to smarten up at mealtimes. Let us know your comments! Attention, chaps and lady-chaps! It has come to our attention that last week, Major General James Cowan, the commanding officer of 3rd (UK) Division, sent his officers a three-page guide to etiquette. Apparently, men in the mess are eating sandwiches with their hands. When they do use knives and forks, they don’t hold them properly. And gentlemen are sitting next to their memsahibs at dinner. Outrageous! Not surprisingly, Maj Gen Cowan has taken a pretty dim view of such poor form. We agree. In fact, we believe that it is our duty to apply the same rigour to social standards when eating in civvie street. Here, then, are the new rules of dining etiquette. Ten-shun! 1 When invited to dinner, you are absolutely at liberty to accept or decline the invitation. You are not, however, free to accept and then change your mind at the last minute because you suddenly got a better offer, or there’s something good on the “telly”. Someone chose you to be one of a set number of people seated at a particular table. They have put a great deal of trouble into making this evening a success. It is unspeakably rude to put your self-indulgence first. 2 Pay attention to the time stated on the invitation. Suppose it is 8pm. Before that time, the hostess will be frantically laying the table, cooking and getting herself ready, while the man in her life tells her to calm down and wonders where he put the corkscrew. After 8.30pm, she will be fretting because the food’s burning and everyone’s cancelling at the last minute (see above). To minimise grief, try arriving within half an hour of the stated time. You can manage that when you go to the cinema. Do it for dinner, too. 3 Re dress code: gentlemen are no longer expected to wear dinner jackets, more’s the pity. But if the ladies put on a nice dress, do their hair and daub on make-up, the least a chap can do is make an effort. Middle-aged, middle-class men should pass on the standard jeans/cords-shirt-and-sweater combination and consider the possibilities afforded by a jacket, or an informal suit. Tucking one’s shirt in is also obligatory for any male not on their summer holidays or young enough to attend kindergarten. 4 Ladies may allow their bare arms, shoulders and/or a modest portion of décolletage to be visible. But exposed midriffs are strictly off-limits. Almost no woman older than 20, or with a dress-size more than six can sit with her flabby tummy exposed without putting others off their food. Put it away! 7 No, you don’t have an allergy. “Feeling a little bloated afterwards” doesn’t count. An allergy is actually the response of immunoglobulin antibodies, or T-cells, in the body’s immune system to particular food proteins. Only 4 per cent of adults have any sort of food allergy. So there’s a 96 per cent chance that you don’t. 8 Food is there to be eaten, not tweeted. The belief that every morsel one consumes has to be shared with the entire social-media world is proof of the descent of mankind into global idiocy. This ghastly habit must be stamped out at once. Likewise, the following activities have no place at any meal when more than one person is at the table, whatever the time of day, or location of said table. 9 Talking on any form of portable communication device; playing with or otherwise using an iPad or comparable tablet; or leaving any of said devices on the tabletop in anticipation of their use. 10 Sending or reading any form of email, text, tweet, Facebook message, status update or comment left at the end of an online newspaper feature. Ditto communicating via WhatsApp, Snapchat or Skype. 11 Showing someone next to you a message or photo you shouldn’t have looked at in the first place, but then not sharing it with everyone else around the table. 12 Using any form of gadget when an actual human being who is physically present at the table is trying to communicate with you by the traditional method of speech. 13 Unless the specific purpose of a social gathering is to watch a particular event en masse, it is seriously bad form for a gentleman to pop out of a dining room to check a football, or other sport, score on TV. The host may, in extremis, do this if pestered by enough guests. 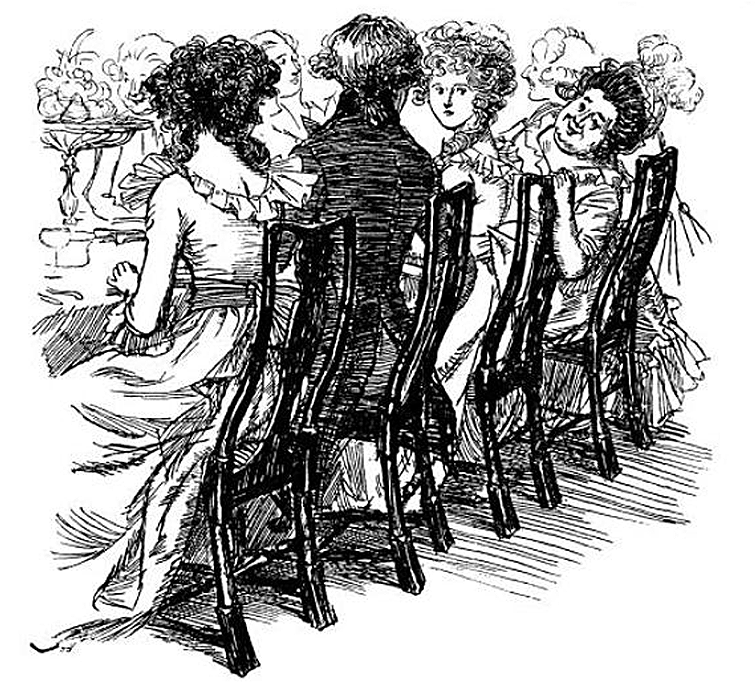 But the hostess is at perfect liberty to insist that he and his chums wait until the end of the meal to find out. 14 Children, it used to be said, should be seen but not heard. Nothing has happened to alter the soundness of this advice. Of course children should not be banned from eating in adult company, either in the home or restaurants. But there is nothing worse than having one’s meal ruined by crying, shrieking, running, fighting, falling over, crying again, puking nippers whose parents can’t be bothered to raise them properly. Bring your children. Silence your children. That’s the ticket! 15 A good meal is improved by a drop of wine. But civilised human beings do not binge-drink at the dinner table. Nor do they quaff spirits while eating. Nor do they, at any time, pass out having drunk too much. 16 Mealtimes should not be accompanied by intoxicants that are smoked, snorted or injected. The consumption of cocaine at the table is a sure sign that someone is, both literally and in rhyming slang, a merchant banker. 17 Guests should respect one another’s right to free speech. Nothing kills conversation faster than pseudo-progressive bores who make a point of being offended by the “inappropriate” attitudes of others and seek to silence them. These see racism, sexism and homophobia in the most innocent remarks. Not only would they ban the singing of ‘Eskimo Nell’, they would insist she’s actually Inuit Nell. 18 Equally bad is the arrogant, indignant loudmouth who simply will not stop battering other people with his point of view, no matter how hard they try to change the subject to something less contentious. It is just remotely conceivable that your correspondent may have very occasionally been guilty of this sin. 19 Don’t boast about the value of your property. Since rising house prices are (a) the only thing keeping most middle-aged homeowners from the bread line, and (b) preventing those same homeowners’ children from finding anywhere to live, the topic is unavoidable. But no one likes to hear anyone swank about the lottery-style bonanza they’ve just enjoyed from, say, the sale of their four-bed terraced house in Fulham – especially not if, hypothetically, the listener sold their identical residence in 1993 for a measly £200,000. But who’d have been daft enough to do that, eh? …but you were rude enough to invite us to dinner. Design Restaurants recommend the best places in the country to dine, and our membership club offers benefits in over half of them. Find out more by going to www.designrestaurants.com. As always from Design Restaurants a very funny, informative and interesting read! Interesting and informative tips. Thanks for sharing. I enjoyed reading this post. Thanks so much for you interest – glad you enjoyed!